Alvin Kwiatkowski, 96 of Litchfield, NE died Tuesday, September 18, 2018 at Brookdale Kearney Northridge in Kearney, NE. Cremation has been held. Mass of Christian Burial will be held 10:30 a.m. Wednesday, October 3, 2018 at St. Josaphat’s Catholic Church in Loup City. Celebrating the Mass will be Father Richard Piontkowski. Burial will be held at the Evergreen Cemetery in Loup City with military honors by the Loup City American Legion Post #48. Visitation will be from 9:30 a.m. to 10:30 a.m. Wednesday before mass. Memorials are suggested to the Kwiatkowski family or donor’s choice. Alvin Kwiatkowski was born December 10, 1921 at Ashton, NE to Frank and Evelyn (Kantor) Kwiatkowski. He grew up on the farm and attended Schaupps school. Alvin entered the United States Army on October 17, 1942. He was a World War II veteran. He served until February 1, 1946. He married Alice Spotanski on April 28, 1948 at Paplin, NE. They farmed near Sherman Dam from 1948 till 1959 when they re-located to a farm by Litchfield, NE where he has presided ever since. He loved farming. Alvin played the accordion his entire life. His greatest love was his wife, Alice of 70 years and his family. 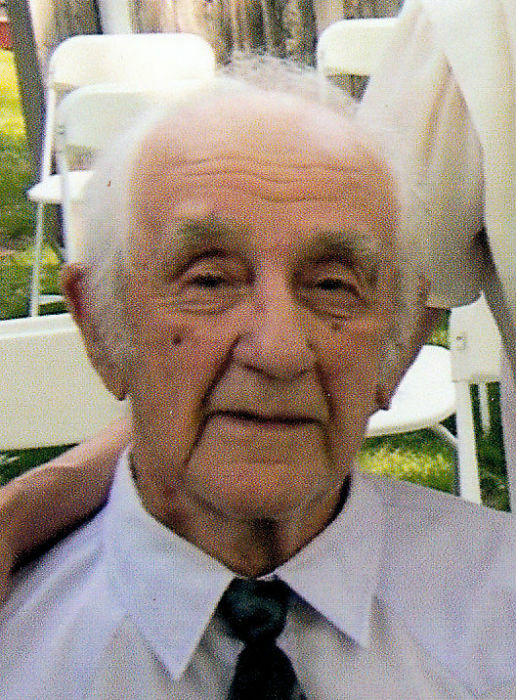 Alvin was a member of St. Josaphat’s Catholic Church in Loup City and the American Legion. He is survived by his son, Rick (Kathy) Kwiatkowski of St. Paul, NE; daughter, Susan (Monty) Solomon of Kearney, NE; son, Dean Kwiatkowski of Loup City, NE; daughter, Sheila (Randy) Klinginsmith of Kearney, NE; son, David (Jane) Kwiatkowski of Kearney, NE; daughter, Sonia (Greg) Smith of Loveland, OH; sixteen grandchildren and 17 great grandchildren. He was preceded in death by his parents; brother, Willard and two grandchildren.